Daylily Dreaming brings to life this elusive flower for all time. This collection includes a myriad of delightful floral designs incorporating the lovely daylily and small clematis flowers both separately and together in a beautiful bouquet. Exquisite endless border designs are also featured in this stunning collection, and will combine effortlessly in any project. 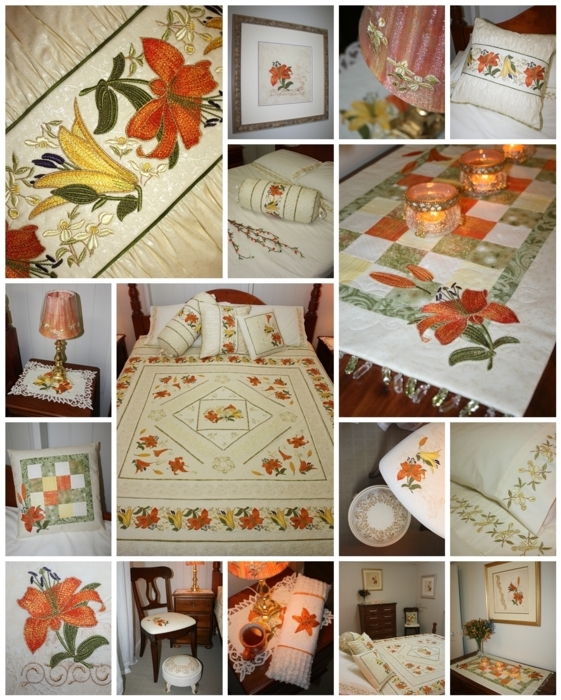 Works created from this collection have been used to create a full colour project book with ideas to decorate the bedroom. 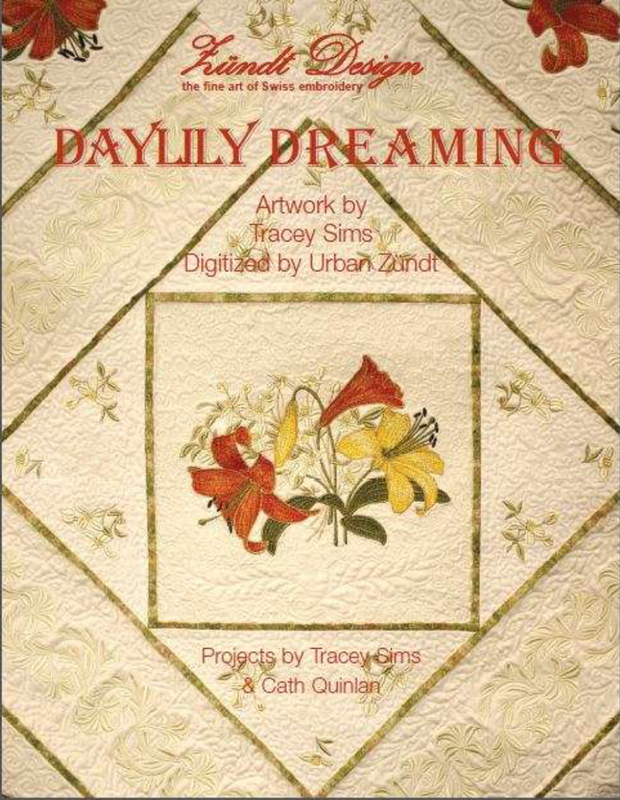 A stunningly elegant queen sized quilt, pretty cushions and innovative wall art pieces are just a few of the beautiful projects in the “Daylily Dreaming” book.